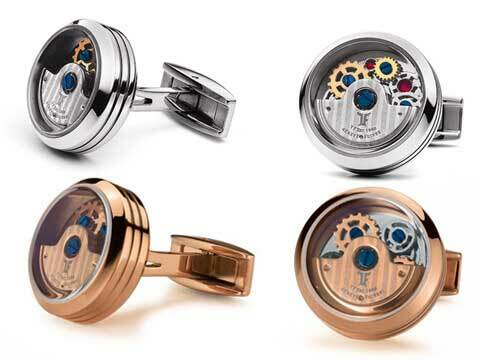 “Tourbillon” model cufflinks in shiny stainless steel with black carbon interior. 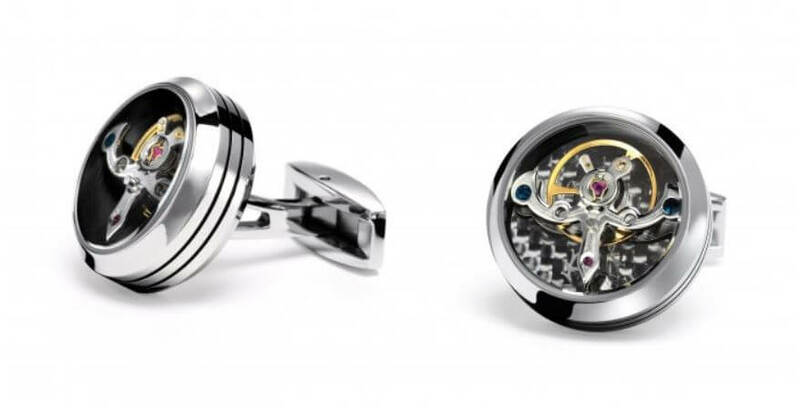 “Tourbillon” model cufflinks in matt stainless steel with silver carbon interior. 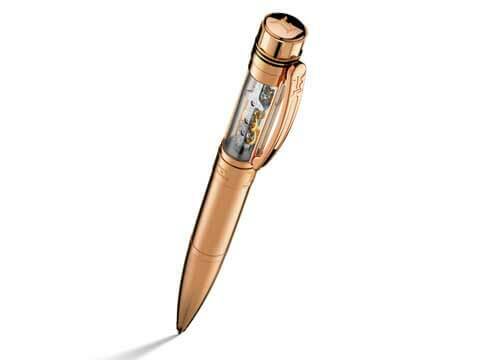 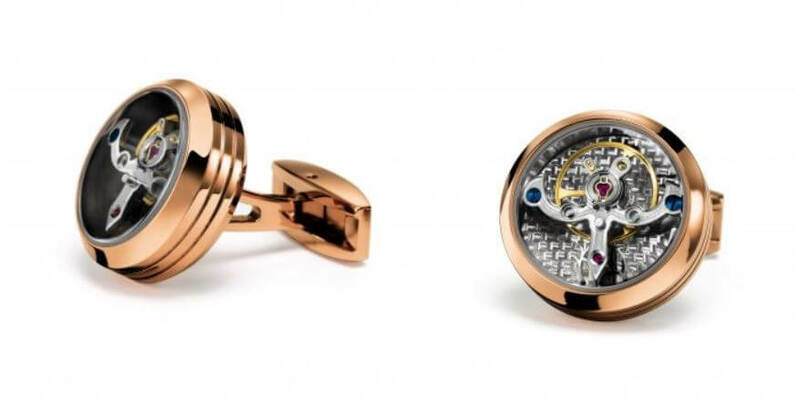 “Tourbillon” model cufflinks in plated rose gold silver carbon interior. 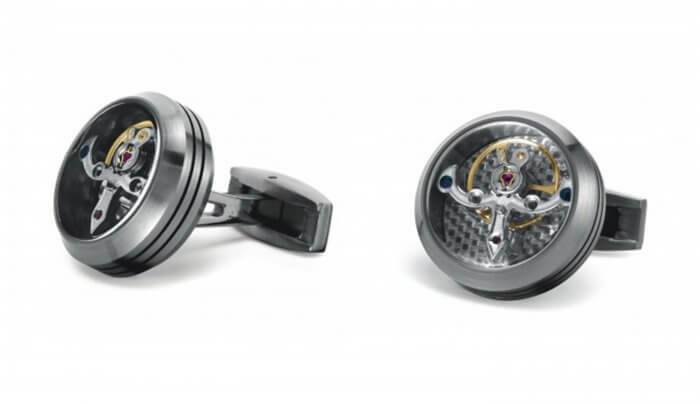 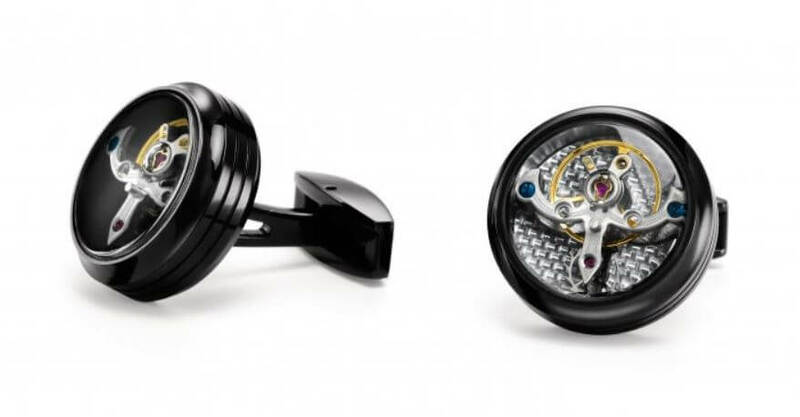 “Tourbillon” model cufflinks in black PVD with silver carbon interior.